Chicago police investigate a reported break-in at the Andrew Jackson Language Academy on the Near West Side. 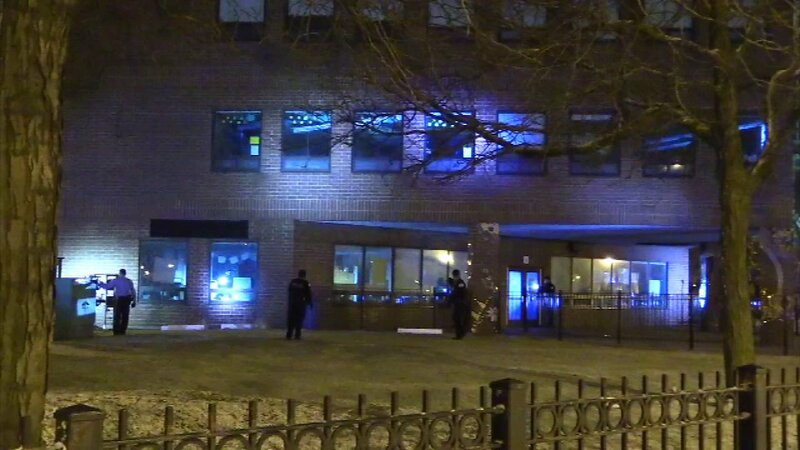 CHICAGO (WLS) -- Chicago police have taken someone into custody after an intense search at a school on the West Side. Officers were seen running around Andrew Jackson Language Academy on West Harrison Street. They had their flashlights looking into halls and classrooms just before 3:30 a.m. Wednesday. There were reports of someone on the roof and going through several floors of the building after an apparent break-in.